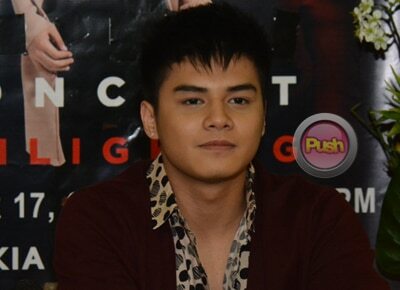 To answer rumors of competition and that it was fellow Hashtags member McCoy de Leon who replaced him as an endorser of a certain apparel brand, Ronnie Alonte said that he is not competing with anybody. “Ako po kasi hindi ako nakikipag-kumpitensya lalo na sa ka-grupo ko ho… Siguro nagkataon lang ho talaga na si McCoy na ‘yung next na magiging Surplus (endorser) dahil galing PBB siguro fresh kasi bagong labas po. ‘Yun po. Kaya kung kinukumpara nila o pinakukumpitensya po nila, labas po ako doon kasi ako, tingin ko kay McCoy, kapatid ko po siya,” he said, adding that he is proud and happy for McCoy for the projects he is given. Meanwhile, according to Ronnie’s manager RB Chanco, they did not renew their contract with the said brand anymore because a bigger brand of apparel is getting Ronnie next year.